Saudi Arabia’s Crown Prince Mohammed bin Salman is currently on a multi-week tour across the US – and he’s meeting with everyone from President Donald Trump to Oprah. Starting with Trump, MbS, as he is known, has since gone on to meet other important politicians in Washington, including influential members of Congress and a number of Trump Cabinet officials. But the crown prince isn’t just meeting with politicians. The Independent reported that a leaked copy of his itinerary revealed meetings with journalists, media moguls, academics, and some of the biggest players in the world’s economy. Trump has now met with MbS multiple times, both in the US and Saudi Arabia. He has emerged as a strong supporter of the young crown prince, as well as his father, King Salman. The president brought several charts with him when he met with MbS at the White House that showed the type of weapons, vehicles, and equipment being bought by Saudi Arabia. The deals are worth tens of billions of dollars. Paul Drinkwater/NBCUniversal via Getty ImagesOprah Winfrey. 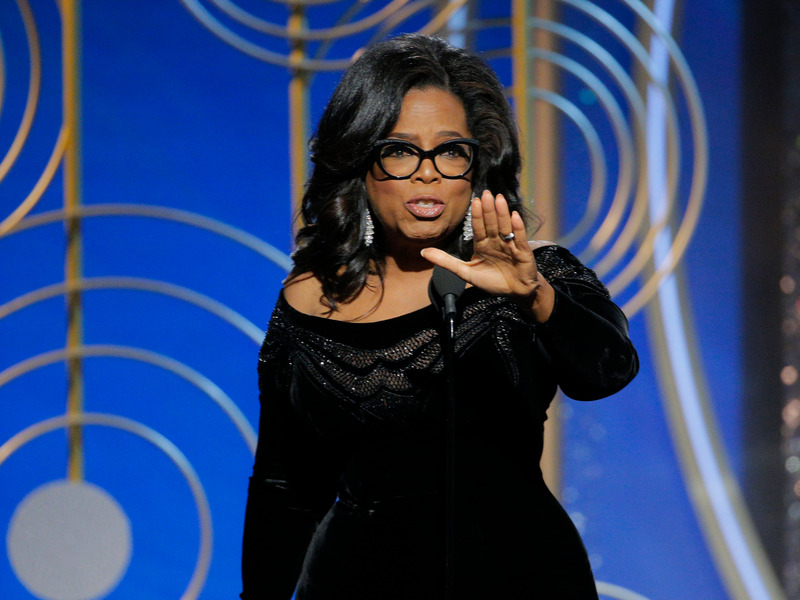 Nader Hashemi, the director of the Centre for Middle East Studies at the University of Denver’s Josef Kor bel School of International Studies, told The Independent that MbS’ meeting with Oprah may help create a better PR image for Saudi Arabia. “Saudi Arabia has always had a public image problem in the West because of the obvious things like women’s rights and beheadings,” Hashemi said. Bill Clinton was the 42nd president of the United States. During his tenure, he visited Saudi Arabia in 1994 and met with King Fahd, who was the brother of the current king, King Salman. Clinton’s tenure was marked with a number of important events in the Middle East, like the 2000 Camp David Summit, between Israeli prime minister Ehud Barak and Palestinian Authority chairman Yasser Arafat, as well as the Oslo Accords, signed in 1993 and 1995. Secretary of Defence Jim Mattis was known for being a hawk toward Iran when he served as a general in the Marine Corps. Though he has argued in favour of keeping the Iran deal intact, he is still wary of Saudi Arabia’s Middle East rival. MbS also serves as Saudi Arabia’s Minister of Defence, and has made confronting Iran a top priority for Saudi Arabia. A meeting with his US counterpart is a no-brainer. Kevin Winter/Getty ImagesActor Dwayne Johnson arrives at the premiere of Warner Bros. Pictures’ ‘Rampage’ at the Microsoft Theatre on April 4, 2018 in Los Angeles, California. 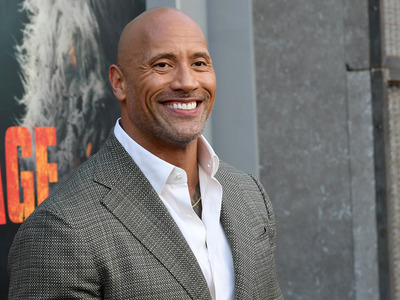 While in Los Angeles, MbS met with one of the most powerful people in Hollywood, actor Dwayne “The Rock” Johnson. The crown prince met Johnson at Rupert Murdoch’s house. Following the meeting, Johnson praised MbS in a bizarre Instagram post. 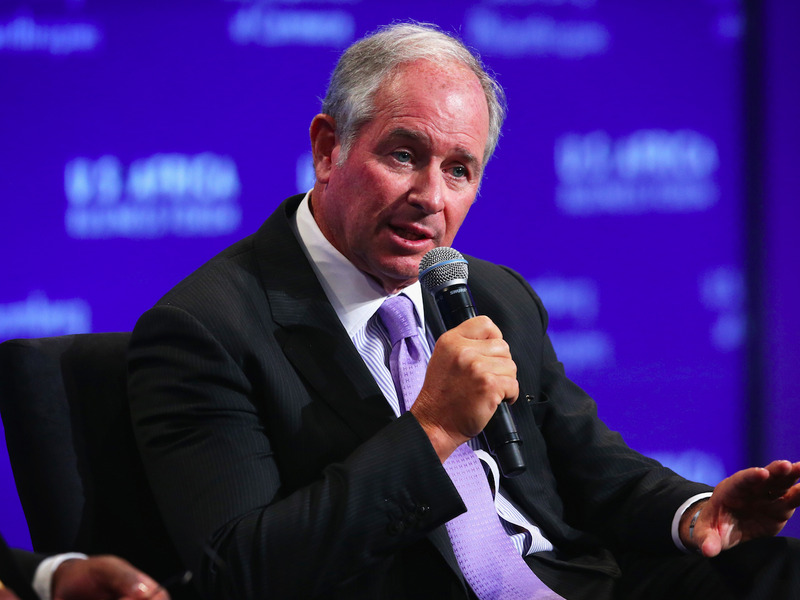 Stephen Schwarzman is the chairman and CEO of The Blackstone Group, a global private equity firm. He is ranked 117th on Forbes’ World’s Billionaires List, and was the chairman of Trump’s Strategic and Policy Forum before it was disbanded in August 2017. Blackstone unveiled a $US40 billion infrastructure fund with Saudi Arabia in May 2017 that will “primarily invest in the United States.” Saudi funding will account for half of the fund, at $US20 billion. During this trip, Schwarzman organised an event in New York City where MbS met with 40 US executives. John Kerry was the Secretary of State under former President Barack Obama. During his time at the State Department, he was involved with talks between the US and Saudi Arabia, mostly about countering Iran and the civil war in Yemen. 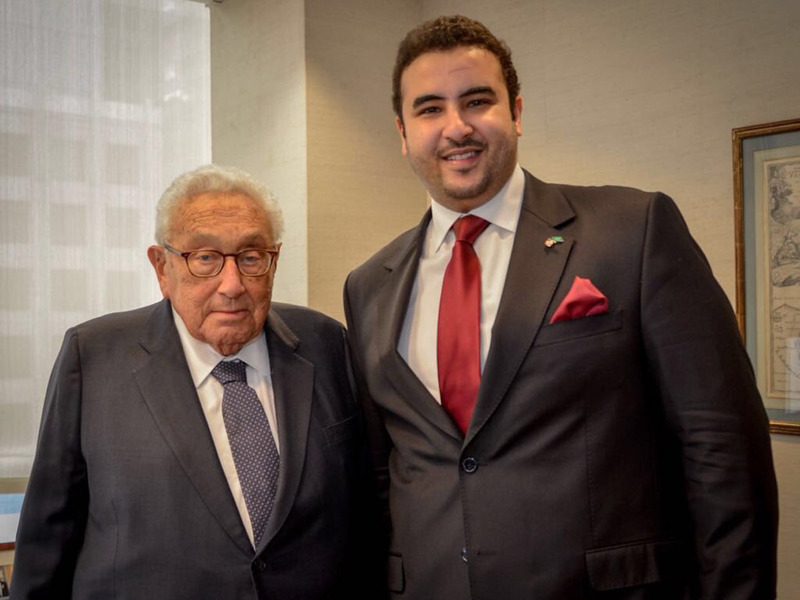 Embassy of Saudi ArabiaHenry Kissinger with the Saudi ambassador to the US Khalid bin Salman, who is also the Crown Prince’s brother, March 15, 2018. Henry Kissinger is one of America’s longest-serving diplomats. The former secretary of state and national security advisor is known for his role in ending the Vietnam War and his pioneering of the détente policy towards the Soviet Union, as well as helping open relation with the People’s Republic of China. Antonio Guterres is the Secretary General of the United Nations. The UN has repeatedly accused the Kingdom of not doing enough to prevent civilian casualties in the Yemen, where Saudi Arabia is leading an air coalition against Iran-backed Houthi rebels. Michael Bloomberg is the founder, owner, and CEO of Bloomberg LP, as well as the former mayor of New York. With a net worth of slightly over $US50 billion, Bloomberg is the 7th richest person in the US, and 10th richest in the world. MbS, Bloomberg, and Joshua Steiner, the head of industry verticals at Bloomberg LP, were recently seen in a Starbucks in New York City. Thomas Friedman is a three time Pulitzer Prize winning journalist who writes for the New York Times. He is the foreign affairs columnist for the Times, and often writes about the Middle East. MbS and Friedman are reportedly supposed to have dinner together at some point during his trip. Arguably the most well known businessman in the world, Bill Gates is the founder of Microsoft, one of the drivers of the personal computer revolution, and the second richest person in the world. 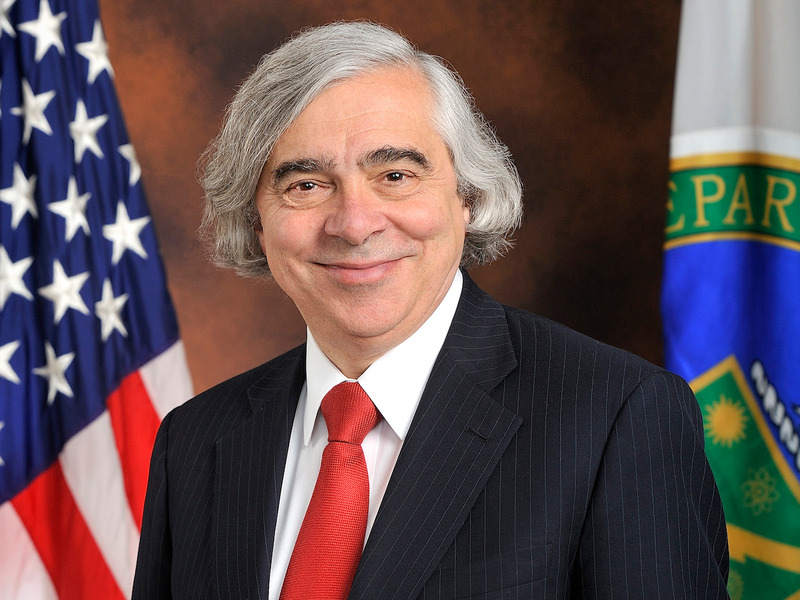 Ernest Moniz was the former secretary of energy under Obama, and also served in the department during Bill Clinton’s administration. He is a nuclear physicist and is currently the CEO of the Nuclear Threat Initiative, a nonpartisan, nonprofit organisation that works to prevent attacks and accidents with weapons of mass destruction. Moniz met with MbS at the event Schwarzman organised. Lloyd Blankfein is the Chief Executive Officer and Chairman of Goldman Sachs. He recently posted on his twitter account that he met MbS in New York City. 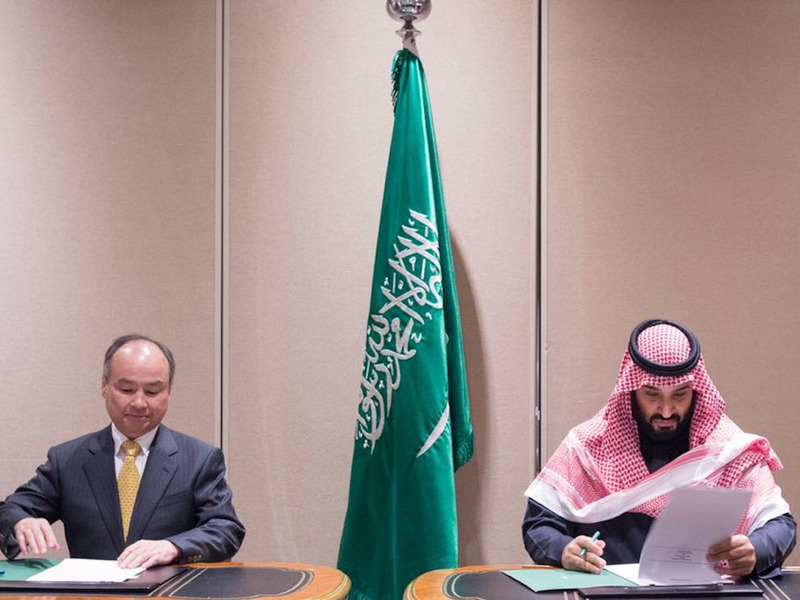 @Spa_Eng/TwitterMasayoshi Son Crown Prince Mohammed bin Salman signs a deal to establish Solar Energy Plan 2030, March 28, 2018. Masayoshi Son is a Japanese businessman who serves as the CEO of Softbank, as well as the chairman of Sprint and Arm Holdings. Softbank announced a $US200 billion plan this week to create the worlds largest solar power plant in Saudi Arabia. The plant is expected to generate up to 200 gigawatts of energy by 2030. Madeleine Albright was the secretary of state under President Bill Clinton, and was the first woman to ever hold the position. She is known for her role in shaping American policy in Bosnia and Herzegovina during the Yugoslav Wars, as well as the Middle East. She also notably met with former North Korean leader Kim Jong Il when he was in power. Rupert Murdoch is an Australian-born American media mogul, and founder and CEO of News Corporation. He is also the Chairman and CEO of 21st Century Fox. Like Thomas Friedman, Murdoch is expected to have dinner with the crown prince sometime during his trip. Jeffrey Goldberg is the editor-in-chief of The Atlantic and is known for his reporting on foreign affairs, particularly the Middle East. Like Friedman and Murdoch, he is expected to have dinner with the crown prince sometime during his visit. Apple CEO Tim Cook is head of the world’s largest information technology company, and the world’s second-largest mobile phone manufacturer. 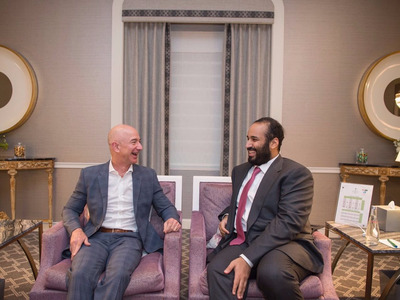 It was reported last December that Apple, along with other giants like Amazon, were in the process of negotiating with Saudi authorities for licenses that would allow them to set up offices inside the kingdom. Attracting tech companies is a big part of MbS’ economic reforms. Elon Musk is the business magnate and CEO of companies like SpaceX, Tesla, and Neuralink. 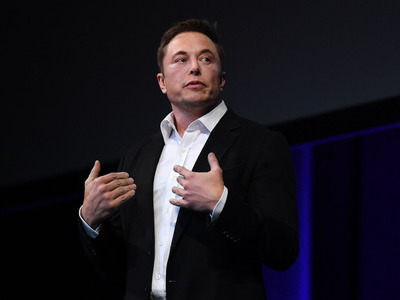 Much of Musk’s work is based on creating products and projects that benefit humanity as a whole, such as reusable rockets, electric cars and storage units, and implantable brain-computer interfaces. @LagardeChristine Lagarde, the Managing Director of the IMF, and Saudi Crown Prince Mohammed bin Salman, March 23, 2018. Christine Lagarde is the managing director of the International Monetary Fund. MbS has made transitioning Saudi Arabia’s economy from being dependent on oil exports a top priority. 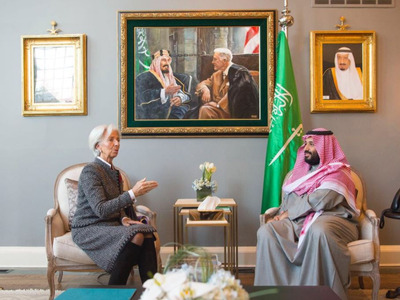 The crown prince’s meeting with Lagarde was focused on the Saudi Economy and its ambitious reforms. 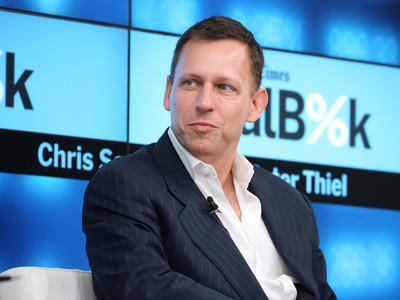 Peter Thiel is an American businessman who specialises in venture capital and technology. He is currently president of Clarium Capital, as well as chairman of Palantir, Valar Ventures, and Mithril Capital. Thiel and many other business leaders from Wall Street and Silicon Valley went to Saudi Arabia in October 2017 for an event that the New York Times reported as “Davos in the Desert,” an event organised by the crown prince. Alan Garber is the provost of Harvard University, the university’s chief academic officer. 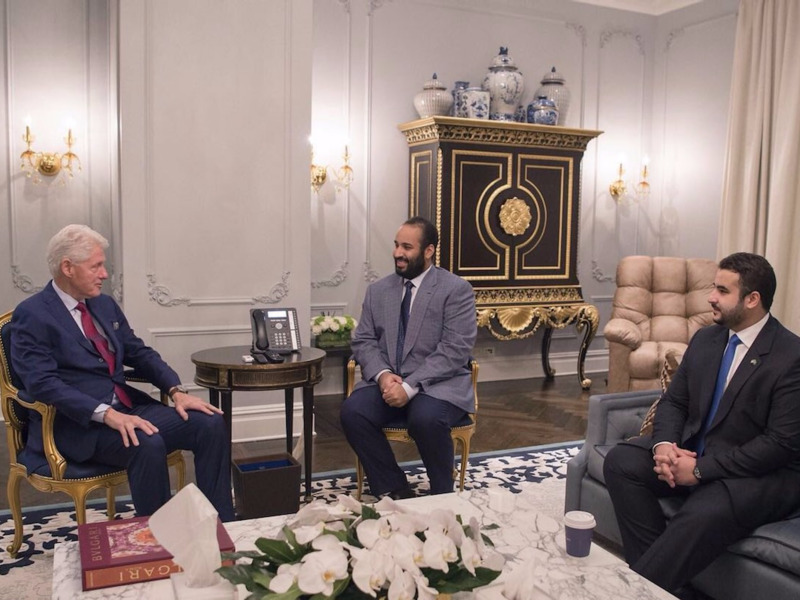 The crown prince met with him an other high-ranking individuals from America’s top colleges and universities. Embassy of Saudi ArabiaSir Richard Branson with Saudi Crown Prince Mohammed bin Salman at Virgin Galactic’s hanger in the Mojave desert, April 2, 2018. Sir Richard Branson is an English businessman who founded the Virgin Group, a massive business conglomerate that controls roughly 400 companies. The crown prince visited a hanger with some of Virgin Galactic’s commercial spacecraft. The Virgin group is a large part of the Crown Prince’s Vision 2030 Plan. 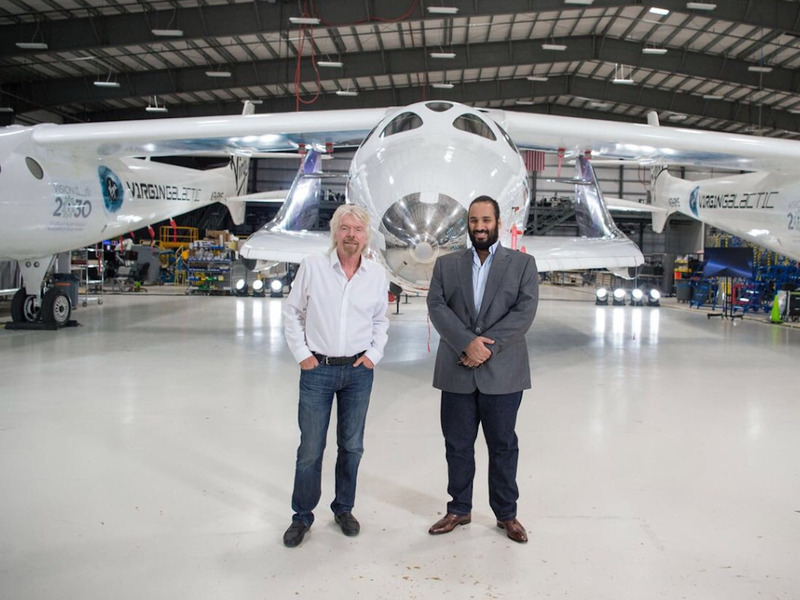 Last October, Saudi Arabia announced a $US1.7 billion investment in Virgin Galactic. Bob Iger is the chairman and CEO of of the Walt Disney Company. 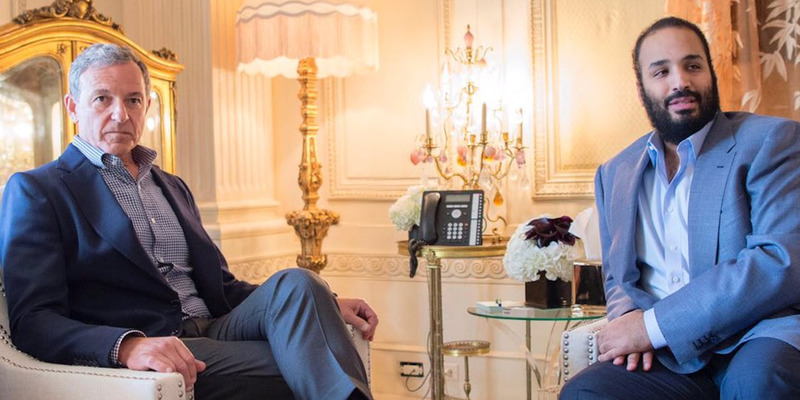 The crown prince met with Iger while in Los Angeles. Their meeting was to discuss the future of the entertainment industry in Saudi Arabia, which recently lifted a ban on public movie theatres. Satya Nadella is the current CEO of the Microsoft Corporation. Microsoft has offices in Saudi Arabia, and is part of a list of companies that the crown prince is trying encourage to invest more in Saudi Arabia to increase its tech market. Jeff Bezos is not only the richest man in America, but the richest man in the world. He is the founder, chairman, and CEO of Amazon, the world’s largest online shopping retailer.